Park line is typical series for the public outdoor spaces. 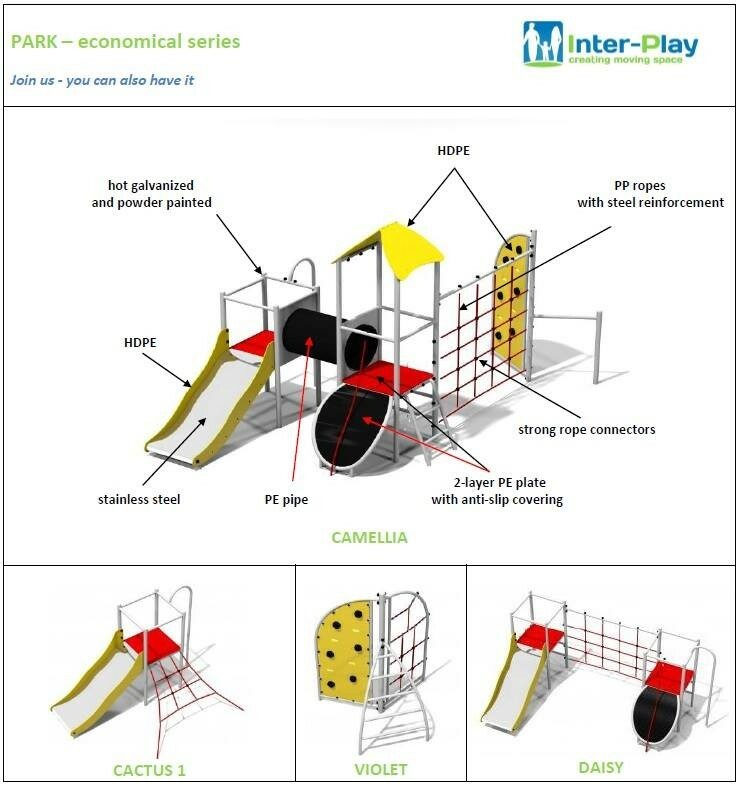 Park's devices incorporates elements as roundabouts, swings, seesaws, net structures and climbing frames. Facilities made of galvanized steel, then powder painted which help to provide stability and longevity for any playgrounds. details information about elements of which they are made.